I have a confession to make. It’s before Thanksgiving and I want to put up my Christmas Tree. I know! I’ve become one of those people that just skips Thanksgiving. I’m so ashamed. Ok not really. Let’s face it Christmas is a lot more fun when you have children. It’s also a lot more fun in your 30’s. You can somewhat afford to actually celebrate, decorate, and be in the holiday spirit. I think this year is a bit different because I’m absolutely not in the service industry anymore. This year I don’t have to deal with any Grinch’s or Scrooge’s if I don’t want to. Plus I can listen to Christmas music sparingly instead of being forced to listen to it for weeks on end. I will say being out of the service industry I am much more festive. That’s probably why I’ve already planned out all of my Christmas posts for the season. Starting with this post right here. Today I am rounding up the best of the best in Christmas Tree decorations. These are the most beautiful trees no matter what theme you are going for. There’s funny, traditional, beautiful, colorful, and everything in between. Related Post: 19 Easy DIY Farmhouse Decor Anyone Can Do. Related Post: 20 Delicious Christmas Desserts. With so many themes to choose from and no matter which one you choose, you are sure to delight your family. No matter what your home decor style for Christmas you can do something completely different in your home. Try wrapping paintings and pictures and hanging them back up. Put out plenty of Christmas decor and your home will be a winter wonderland. 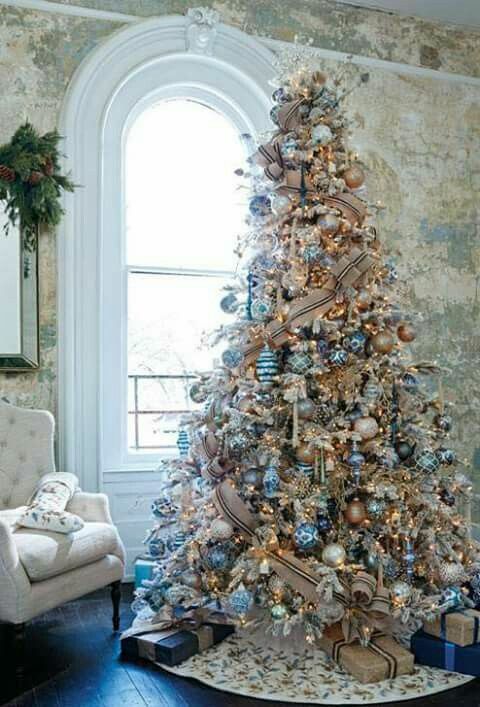 Do you decorate your tree in a theme? What themes do you love? Leave a comment below. Follow me on Pinterest for more like this and pin this to your Christmas Boards. Christmas desserts are some of the best desserts to make. You can get into the Christmas spirit and create some wonderful treats. I’ve got some delectable desserts here today that will delight your holiday guests and impress anyone on your treats list. I have included all sorts of treats in this list, cookies, cakes, cupcakes, and more. While we all know the popularity of a cookie exchange why not mix things up this year and include other treats. Try a Christmas inspired truffle or bark and add them to the exchange. While for some the holiday season can make you feel stressed, we all know that stressed spelled backwards is desserts. Sweets can actually release happy hormones in your brain. I say it’s time to enjoy some sweet stuff to relax and be happy. It’s time to get into the holiday spirit and start looking at some delicious Christmas desserts. Be sure to check out my tips at the bottom of this post for planning your Christmas desserts menu. Check out my post 35 Delicious Cake Recipes. When planning out your menu for desserts you want to keep a few things in mind. Think of the time you have available to devote. Is the rest of the dinner extremely involved? If it is you will want to pick desserts that can be made a day or two before. 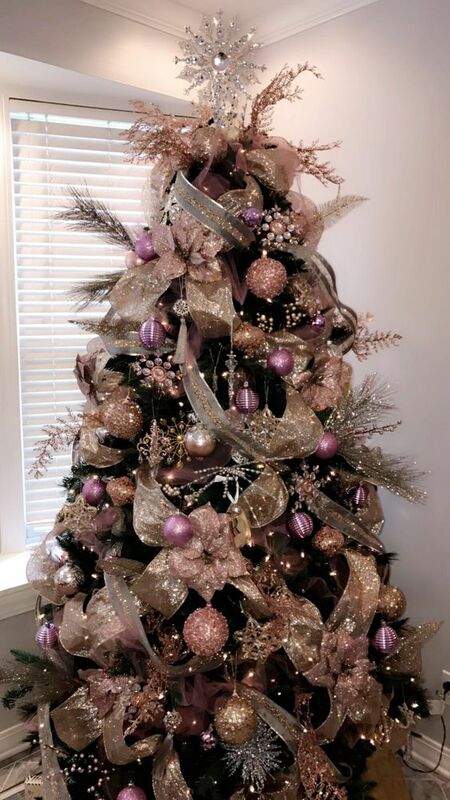 Check out my post 18 Stunning Christmas Trees. Cookies, candy, and fudge will hold just fine for a day or two. I recommend making cakes, pies, and cheesecakes the day before your event. This way they still have that wonderfully fresh taste to them. When choosing make sure you have an array of flavors. You don’t want to offer just one item. Do a chocolate, a cheesecake, and a fruity dessert. Offer cookies, cake, and candy. This means everyone will get a little something for their tastes. Which Christmas desserts are you most excited to try? Leave a comment below. Follow me on Pinterest for more like this and pin this to your favorite Holiday Boards.